Why did the men not like Daniel? Tell about a time that you were jealous of someone else because they had something that you wanted. Did Daniel stop praying when he learned that he would be put in the den of lions for praying to God? Make an ‘S’ but do not wait. Go back up and close the gate. - Stamp on the Daniel in the Lion's Den worksheet with a ball of aluminum foil and paint. 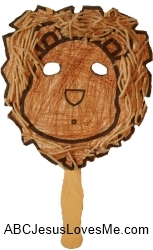 - Cut out Lion Head worksheet and glue to a paper plate. Color the head and add brown yarn for the mane. Glue a large craft stick to the back of the head. Cut out the eyes to make a mask for the child. 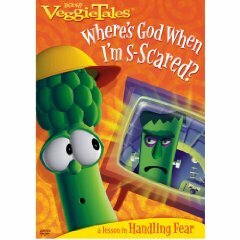 Wear the puppet and while using a courageous voice say this week's memory verse. - Make a list of things which are impossible to do or have occur. Discuss how today's story is an example of "impossible." - Read: We're Going on a Bear Hunt - substitute the word "lion" to match the Bible story. - Introduce the letters Ll using the tactile letters and decorate the Letter Poster to add to the Letter of the Week book. 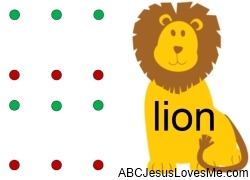 On the Letter "l" Lion worksheet, color the top row of dots green and the bottom row green. Have the child draw straight lines and color the lion. Explain that drawing straight lines is making the letter "l." Also, correspond the Letter "l" with the Bible story. - When saying the /l/ sound, show your child how his tongue should hit the roof of his mouth. 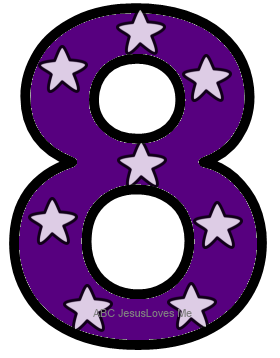 - This week paint with watercolors to decorate the Number 8 Poster. Add eight stickers. 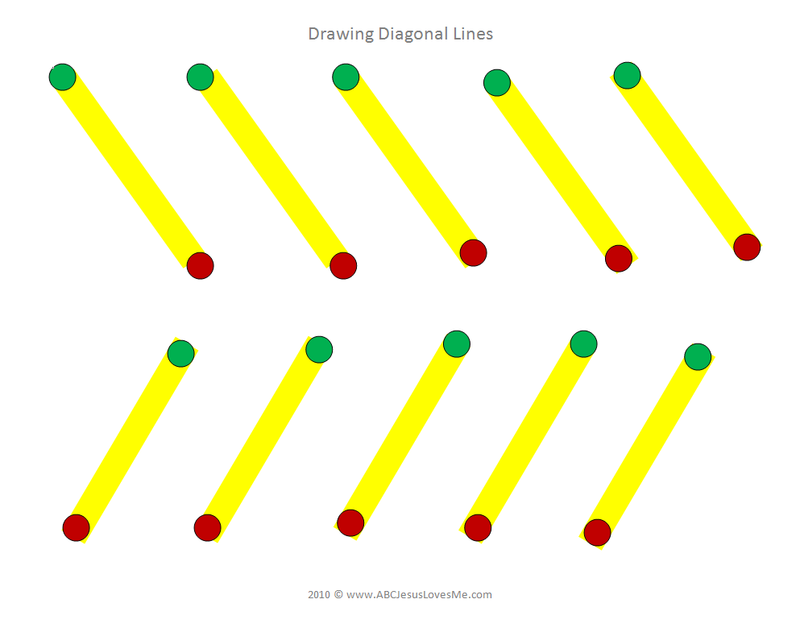 - Using the worksheet, draw diagonal lines. - Make green scrambled eggs by adding green food coloring to the eggs before cooking. Add some ham for a yummy, green meal. - Sam-I-am was annoying the main character by not respecting his answer. The main character was not being open minded and trying new things. - Instruct the child to cut the egg out of the Green Eggs and Ham worksheet. Add a dot of green paint directly in the middle of the egg. Fold the egg in half and make a mirror of the paint. Open up to see a green, over-easy egg. 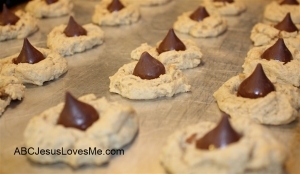 Make Kiss Cookies - a peanut butter cookie with a candy kiss on top - allow your child to unwrap the kisses (great fine-motor activity) and put them on after baking the cookies. Use this time to practice washing hands. Give the cookies away and have the child tell the gift-receiver the Bible verse. Jump in various directions and over small items.